"Welcome to The Corner Club Press. We're dedicated to bringing you high-quality fiction and poetry..."
The creation of The Corner Club Press is actually an impulsive endeavor of ours. " That doesn't really inspire confidence. 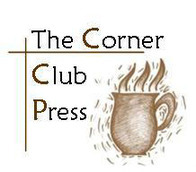 "The Corner Club Press is an on-line non-profit magazine distributed as a free PDF download. We publish every two months"
So, a market for poetry and short stories--excluding erotica. As of now, we offer cash for the best poem/short story in each issue. Keep in mind pay rate is subject to change. Pay rate is $50 as of now. ONLY one best poem and one best short story in each issue--Editor's 'Best Of.'" In my experience the only thing that gets you in more trouble than not paying at all, is paying token amounts and/or only paying some contributors. "Editing Services ... Amber Forbes is now offering editing/tutoring services for academic papers and first fifty page critiques of novels. Please see AmberSkyeF for more information regarding pricing of these services"
Not a great idea to advertise paid editing on your 'publisher' page. "Want to donate to us? Click on the 'buy now' button to donate a minimum of 2 dollars that will go to our advertising funds." We are going to pay for you to advertise your magazine because...?